We recently enjoyed a visit from some of our Davidson friends and took a trip down memory lane by frying some pickles. We also fried macaroni and cheese – but I’ll have to tell you about that later. 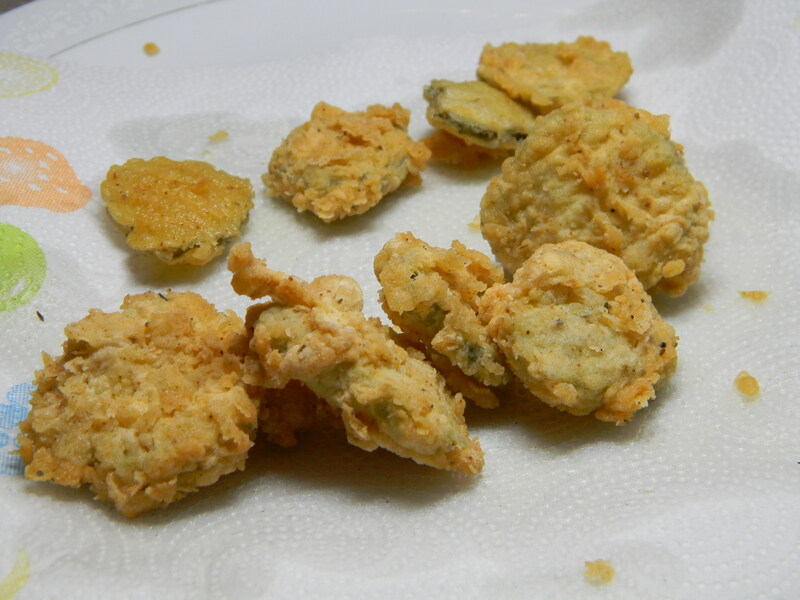 We posted a recipe for fried pickles back in 2009, so this is just another little nudge – we’re hoping you’ll make them and decide they are your favorite fried snack. They definitely rank #1 in our book. *note: this time, we strained the pickles, then dipped them straight into the flour, then egg, then flour again. it seemed to work better than the egg-flour-egg-flour method. we also switched up the seasonings in the flour this time- be creative! I want these now! They were so delicious and we had so much fun!